When faced with a mountain of rubbish and waste that needs to be cleaned and disposed of, a skip hire company comes across as a lifesaver. You call the company, ask for the skip size you need, the skip arrives, all the rubbish and waste are loaded onto it, and the skip hire people take it away and dispose of your rubbish properly. Even though this service comes at a price, the convenience of the whole thing is amazing and totally worth the money you pay. Whether you are moving to a new home, getting your home spring cleaned or renovating it, renting a skip is not only useful but also the smart thing to do. After ordering, the skip is placed in your premises for a predefined duration. All the waste generated by your project(s) can be dumped into this skip before it’s taken away by the skip hire company. However, what if we tell you that there is a way to reduce your skip rental cost. That would really be an amazing package, wouldn’t it? Read on to know more about how you can significantly lower your final skip hiring bill. As with any other service, booking your skip in advance can save you quite a few pounds. Skip bin companies operate with a specific number of skip bins, which means delaying your booking can lead to availability issues and higher than normal pricing. So, what is the perfect time to book a skip hire? Ideally, you should book a skip at least a couple of weeks before you’ll need it. That way, you are assured of skip availability on your chosen date and, depending upon the service provider, even an early bird can be a discount. Many people make the mistake of renting a skip for a duration longer than what’s required. While this might look like a good idea, in reality, it ends up costing more money. And it’s easy to see why. For every extra hour that the skip stays with you, the provider is unable to rent it out to another customer. The provider compensates for this loss of business by charging you a premium. This is why we do not recommend taking a skip for rent for an unlimited amount of time. Instead, size up and prepare the rubbish your project generates and book a skip only thereafter. This way, the skip stays with you for the shortest period possible. Did you know that keeping your skip on the street or road without an official permit is a finable offence? One way to avoid the fine is by keeping the skip in your property. But if that is not possible, it’s better to apply for an official permit. By paying a small fee, you can safely use the road to keep your skip. 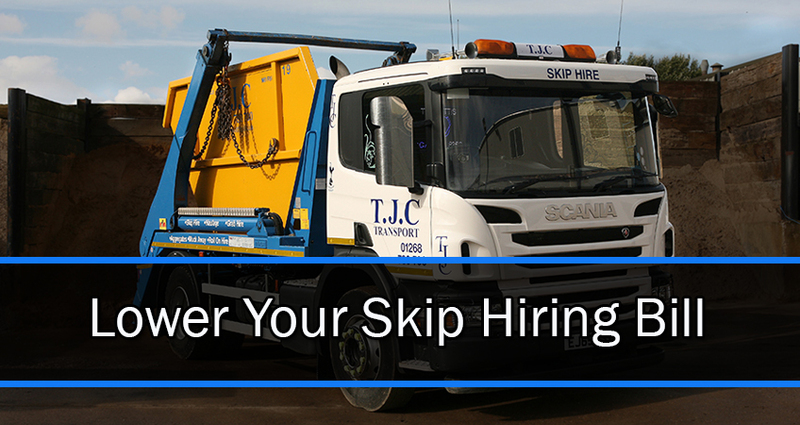 Providers of skip hire in the UK are usually well-versed in the process of getting this permit, which means you can talk with them prior to booking your skip. Skip companies typically charge a small premium over the actual license cost as a service fee for getting you the skip license. The skip permit cost in Essex is £20. When you consider that the fine for not possessing a permit can be five or six times that amount, paying for a permit makes a lot of sense. If you want to know more about skip licenses and their costs for your area, you can refer to this website. This is one thing that bears repeating, again and again, choose the skip size that you need and no more. A smaller skip costs lesser than a bigger one. So, pick a skip size that matches the amount of rubbish you want to dispose of. For instance, a skip designed to hold the waste generated from a full-blown home renovation would be overkill for something like a kitchen refurbishment or even an end-of-tenancy cleaning. The skip hire provider can help you choose a skip of appropriate size. Call them over to your place and explain what exactly your project involves. The provider can suggest a suitable solution accordingly and you can go ahead with your booking. Again, it’s important that you book the skip in advance to avoid a situation where you are left with only oversized, and thus, pricey skips. This is as simple as it can get; the fewer the number of things you throw out, the smaller is the skip size you need. Before you fire up a search for ‘skip hire near me’, remember that recycling and waste management begin at home. Pick out items that can be recycled, or even better, donated. For instance, if the rubbish contains a lot of lightly-used clothing or old toys, consider donating them to your neighbourhood charity. Similarly, if there is something that can be recycled, separate it from the rubbish that’s to be discarded. Not only do you save money on a larger skip but also end up helping someone else with their need. Using space efficiently is akin to saving space. This mantra applies to your choice of skip as well. While it might look good on TV (yes, we’re talking about those home renovation shows), throwing stuff into the skip in a slapdash manner is simply waste of space. On the other hand, taking your waste apart and bundling it tightly together can let you get away with smaller skip sizes, and subsequently, lower your skip hire bill. The key here is to take the waste apart. Obviously, the useful bits from your rubbish should be separated but for everything else, dismantle away. So, if you want to throw out an old table, take its legs apart. Reducing the volume of your waste items should be the focus. Also, see if the waste can be bunched together or if one item can be put inside another. The more efficiently you utilize skip space, the more money you save. Often, saving money is all about being aware of restrictions and respecting them. A skip is supposed to hold only a specific amount of weight, which means your provider plans the removal process as per the skip size you’ve chosen. The problem occurs when you load a skip beyond its capacity or fill it up with barred items. Thus, when the provider sends a truck for removal, it proves inadequate and a larger truck is called for instead. The extra costs incurred as a result is added to your final bill, which is why you should be aware of your skip’s limits and stay within them. We hope these tips can help you to reduce your skip rental cost. If you’d like more info on skip sizes and what can and cannot be loaded onto them, get in touch with us today. Our experts have years of experience in rubbish removal for various projects and can estimate the amount of rubbish your intended project will generate and suggest a skip size accordingly. TJC Transport is a leading provider of skip hire in Essex and other nearby regions. We offer skips and trucks of varying sizes in addition to other competitively priced waste disposal services.